Archaeologists excavating the site of Ancient Aptera in Iraklio, Crete, on Tuesday announced the discovery of two small yet spectacular statues depicting the gods Artemis and Apollo. 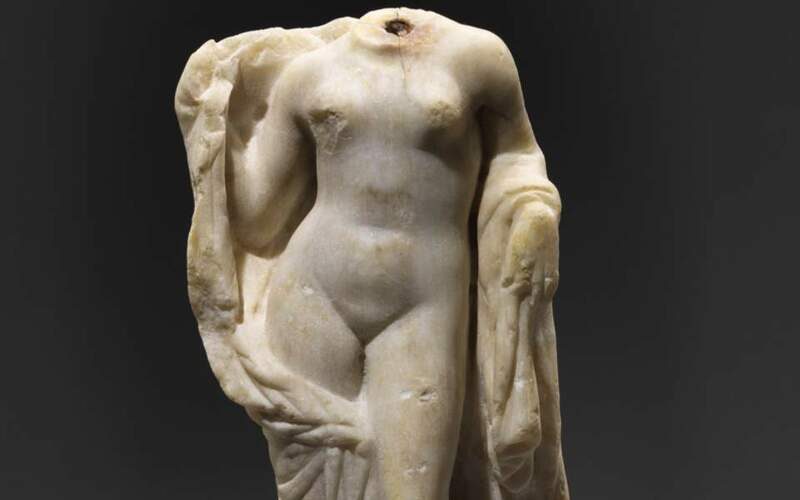 The two statues, which are believed to be a pair, have a height of about half a meter, including their pedestals, and are believed to date to the second half of the 1st century or early 2nd century AD. That of Artemis, the hunting goddess worshiped in Aptera, is cast in bronze, while her brother Apollo is carved from marble. 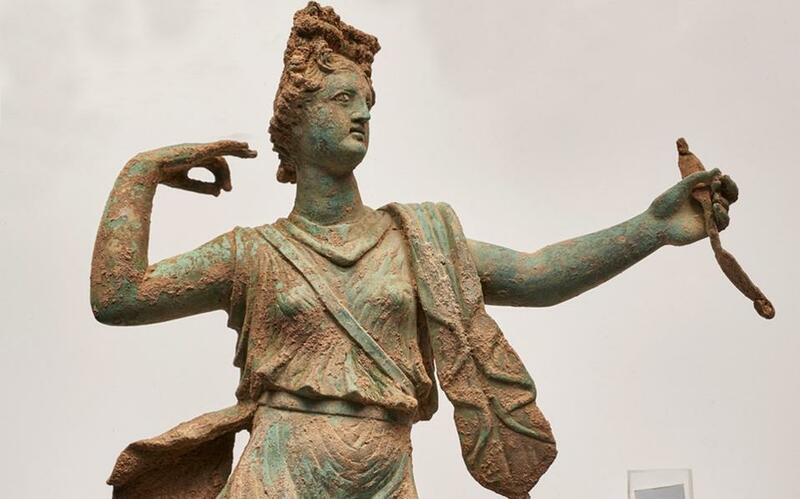 The goddess, standing on an ornate base also of bronze, is in an excellent state of preservation, the head of the excavation, Vanna Niniou-Kindeli, said, with all of her limbs intact and posed as though ready to shoot an arrow. The statue of Apollo, said the archaeologist, is much simpler in style – possibly denoting the god’s junior position to his sister – but well executed and with traces of rare red paint at its base. The two sculptures may have been imported to the island in order to adorn the Roman-era villa in which they were found, archaeologists believe. Aptera’s survived from Minoan through Hellenistic times, after which it fell into decline.